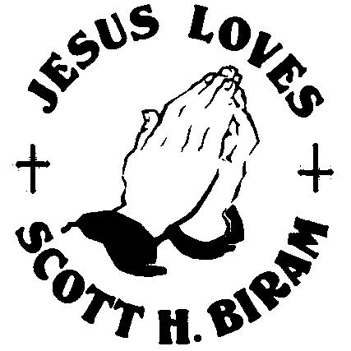 Flex your biceps in prayer with these loving and marginally blasphemous temporary tattoos declaring once and for all that "Jesus Loves Scott H. Biram." Easy to apply and fun to wear, this fakey will make you the envy of your friends and neighbors. It might even cause that old lady sitting in the booth next to you at the diner to turn up her nose in self-righteous disgust, and when ISN'T that fun?